Filesize (how big a file is on your computer) is normally measured in units of "kilobytes," "megabytes," and "gigabytes." But 'k' (lowercase), on the other hand, represents a multiplier of 1,000 in computing. Data transfer speed is sometimes discussed using Bytes, but this usage is ambiguous and discouraged, as data transfer speeds are measured using "bit-rate" (bits per second). You should therefore follow the convention of using BITS (not BYTES) for data transfer rates (for example, how fast data travels over a network, or how fast data travels from one hard drive to another hard drive). This is a clear and easy to remember way to distinguish between KiloBytes and kilobits. Note also that it's helpful to reserve the use of the captial letters for Byte-based abbreviations (i.e. "kbps", not "Kbps"), as this use of the lower case m and g can help to visually differentiate. In most references to bit-rate, the captial M and G are more common (e.g. "3 Gb/s"; "54 Mbps"), but the lower case "b" to represent "bits" is required and standardized. Ambiguity in refering to kB, kb, MB, GB, etc. can be easily resolved, first and foremost, by just saying what you mean. This is easily done by indicating in your document what notation you are using; for example, as a footnote: "* In this document 1 MB = 1,024 KiloBytes and 1 KB/s = 1024 Bytes per second". But an even better solution is to avoid abbreviations unless they are absolutely necessary. It does not really take that much more space to write "24 megabits/s" than "24 Mbps", or "24,000 bytes/s" instead of "24 KB/s". . .
P = 2^50 = 1,125,899,906,842,624.
e.g. "10 Mbps Ethernet" runs at 10,000,000 (10 million) bits per second, not 10,485,760 bits per second. The main problem with the "Kibi-"/"Mebi-" approach recommended by the IEC is the widespread use of computer operating systems (especially Microsoft Windows) that have effectively standardized "KB" (KiloByte) as 1,024 Bytes, "MB" (MegaByte) as 1,024 KB ( 1,048,576 Bytes), and "GB" (GigaByte) as 1,024 MB. Millions of people use these abbreviations in their daily use of computers; many more than the number of people who use the "proper SI meanings" -- and even people who refer to things like "kilometers" or "kilograms" know perfectly well that a "Kilobyte" is 1,024 Bytes, not 1,000 Bytes. Furthermore, another large problem with their approach was to introduce ambiguity by attempting to redefine established abbreviations, and introduce new abbreviations for established refences, instead of introducing new abbreviations for the less frequently used definitions. This means that anyone reading historical documentation or using any program now has to wonder "does this use of MB indicate the older use of MB (1,024 KB), or does it mean the IEC definition of MB (1,000 KB)??" pbps (petabits/sec) means quadrillions of bits per second. "Gigabit Ethernet [1000Base-T] is capabile of speeds up to 1000 mbps (mega-bits per second), or 1 gbps." "10Base-T ethernet operates at 10 mbps and uses baseband transmission methods." "SATA II defines the architecture (SATA-300) for Serial ATA communications of up to 3 gbps." To convert from network speed (kilobits per second, kbps) to transfer rates (KiloBytes per second, KB/s), multiply by 0.1220703125. To get bit rate (speed) from values given in Bytes, you must multiply the total number of Bytes by 8. To get KB/s values from bit rates, you must divide the total number of bits by 8, then divide by 1,024. <k> kilobits per second * 1,000= <b> total bits per second; <b> bits / 8 = <t> total Bytes per second; and <t> / 1,024 = <K> KiloBytes per second. For example: 128 kbps (k) = 128,000 bits per second (k*1000=b) = 16,000 Bytes per second (b/8=t) , or about 15.6 KB/s (t/1,024=K) . So a 512\128 internet connection would give you about 62.5 KB/s maximum download, and about 15.6 KB/s upload (max). 1 Mbps (bitrate) "1 million bits per second", or "1 megabit every second". 1 GB 1 GigaByte (1,073,741,824 Bytes) [*4] (also used: "gig"). 1 KB/s "The ratio of one KiloByte to one second." or "One KiloByte per second." 1 kbps "One kilobit per second." Bytes → big "B"; bits → small "b". When talking about storage, think Bytes, not bits. When talking about data transfer, use bits, not Bytes. Discussion of data transfer rates are in bits, even if you are talking about file transfer speeds. B/s*8= bps ; but mbps/8 does not equal MB/s! Don't use "GB" to mean BB. they're talking about storage, not data transfer. so you can do the math confident in the fact that 1 KB = 1024 Bytes. • how fast is USB 2.0 vs Firewire or 100/Base-T Ethernet? From: "Verizon Reduces Prices for Phone Service"
"Cablevision, which competes with Verizon in New York City and its suburbs, on Monday announced it was increasing the maximum download speed of its lowest-price broadband service to 15 megabits per second (mbps), up from a maximum of 10 - which was already several times faster than most consumer DSL services. The company also introduced new 30 and 50 mbps options to compete with Verizon's new FiOS fiber optic offerings." The speed of a wireless network depends on several factors. First, wireless local area networks (WLANs [or "Wi-Lans"]) feature differing levels of performance depending on which Wi-Fi standard they support. 802.11b Wi-LANs offer maximum theoretical bandwidth of 11 [mbps]. The performance of Wi-Fi networks in practice never approaches the theoretical maximum. 802.11b networks, for example, generally operate no faster than about 50% of theoretical peak, or 5.5 [mbps]. Likewise, 802.11a and 802.11g networks generally run no faster than 20 [mbps]. The disparity between theoretical and practical performance comes from protocol overhead, signal interference, and decreasing signal distance with distance. In addition, the more devices communicating on a WLAN simultaneously, the slower the network will appear. Finally, wireless network technology is capable of more speed than what Wi-Fi supports today. Industry vendors continue to develop improved technologies like 802.16 WiMAX that offer wireless communications with faster speeds and longer range. 200,000,000,000 Bytes /1,024 = 195,312,500 KB /1,024 = 190,734.8 MB /1,024 = 186.265 GB , or approximately 186 GB. What happened to the other 27.5 GB? ...so a 120BB Hard Drive (HDD) is actually 111.759 GB. 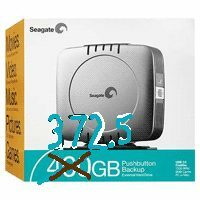 They do the same thing for CD-Recordables, and DVD-Recordables; for example, a "4.7 GB" DVD actually only has room for less than 4.38 GB [about 4,485 MB on a DVD+R] of data.... (4589843.75\4482.26929\4.37721). "DVD-5 = 4.37 gig (4.70 BB) of data; DVD-9 (12 cm, SS/DL) = 7.95 gig (8.54 BB), or about 4 hours of DVD Standard video + audio." "The '150 KB/s' 1x data rate commonly listed for CD-ROM drives is meant to indicate 153.6 thousand Bytes per second..."
this would typically give you about a 1200 kbps maximum download speed, and about a 318 kbps maximum upload speed. If you are maxing out at about 30 KB/s (KiloBytes) per second upload, you are uploading data at a rate of around 245 or 246 kbps. megabit - In data communications, a megabit is a million binary pulses, or 1,000,000 (that is, 10^6) pulses (or "bits"). It's commonly used for measuring the amount of data that is transferred in a second between two telecommunication points. For example, a U.S. phone company T-carrier system line is said to "sustain a data rate of 1.544 megabits per second." Megabits per second is usually shortened to mbps. Some sources define a megabit to mean 1,048,576 (that is, 2^20) bits. Although the bit is a unit of the binary number system, bits in data communications are discrete signal pulses and have historically been counted using the decimal number system. For example, 28.8 kilobits per second (Kbps) is 28,800 bits per second. Because of computer architecture and memory address boundaries, Bytes are always some multiple or exponent of two. See kilobyte, etc. GigaByte - A gigabyte (pronounced GIG-ah-bite with hard G's) is a measure of computer data storage capacity, equal to approximately a billion Bytes. Specifically, a gigabyte is two to the 30th power [2^30] Bytes, or 1,073,741,824 (one billion, seventy three million, seven hundred fourty one thousand, eight hundred twenty four) Bytes in decimal notation. "These are optimum bandwidths. Actual bandwidth may vary due to network traffic and and are not guaranteed. The difference between maximum speed and average speed can be especially large in wireless technology, or cable internet. The varying amount of data traffic on the Internet (and your own LAN, if applicable) and the condition of your computer equipment affect the speed of any connection at any given time." ; "Keep in mind that [even with a 1.5 mbps connection] you will not normally see 1.5 megabits in a speed test ... due to overhead the more commonly seen speed with this type of connection is in the neighborhood of 1200-1250." Nearly everyone (including the experts) gets this wrong but the theoretical limit of a PCI bus is 127.2 MB/s, not 133 MB/s . The bus is 32 bits wide and clocked at 33.3 Mhz. So many people assume its 32/8*33.3. But this ignores the fact that the "M" in Mhz = 1,000,000, while the "M" in MB = 1,048,576. <T> / 1,024 = total throughput, in KiloBytes, per second. <T> / 1,048,576 = total throughput, in MegaBytes, per second. the physical (hardware) speed of the disk drive. *for now, at home, there's hardly any benefits to be gained from SATA II. The National Institute of Standards and Technology - "SI Prefixes for binary multiples"
Discuss this topic or provide feedback on this article.